Packing IC to tape and reel, it can attach various sensors, inspection system, and does not need to combine with automation. 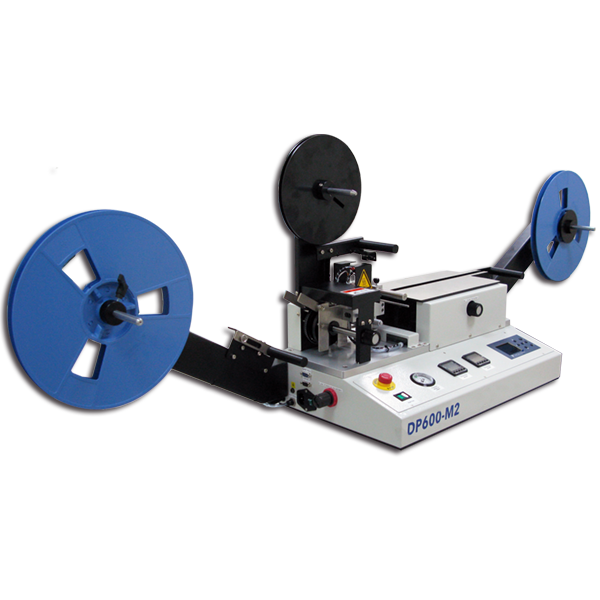 DP600-M2 is a desktop semi-auto taping machine that is able to work independently; designed to be simple and easy to operate. It has both PSA (Press sensitive adhesive) and heat sealing functions. Support 8~88mm tape width; able to finish adjustment within 10 seconds without any adjustment tool. With advanced characteristics, DP600-M2 offers the best solution for the manufacturing process. Able to support 22" (550mm) input and output tape. Able to support 8~88 mm width cover tape. Able to support up to 32 mm depth carrier tape. The sensor will alarm when running out of cover tape. Optional Sensor Package: floating, empty pocket, carrier tape, and home (Factory-Installed). **Order the sensor package, customer needs to design and install the carrier tape reel holder by themselves.